The aunt of the three-year-old Syrian boy whose lifeless body washed up on a Turkish beach and galvanized public attention to the plight of refugees, says she feels guilty about paying for her family's doomed journey to Europe. "I was trying to help my family," Tima Kurdi, who is based in Coquitlam, B.C., said in an interview with CTV's Your Morning. "But that guilt in my heart, I will take it to my grave." 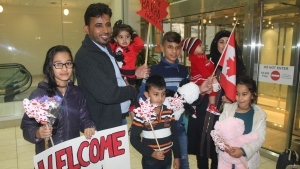 Kurdi gave her brother Abdullah nearly $5,000 to pay smugglers to take him and his family from Turkey to Greece, after the Turkish government would not grant them the exit visas they needed to enter Canada as refugees. Their September 2015 journey across the Mediterranean ended in tragedy after the flimsy inflatable boat sank in rough seas. 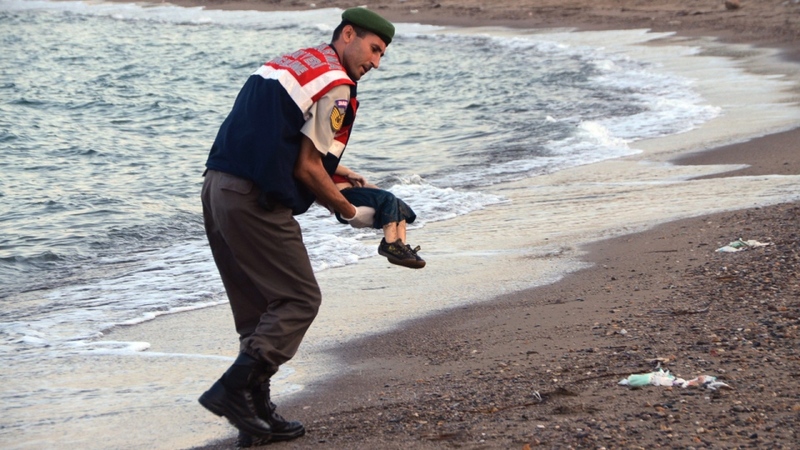 Eleven refugees died, including Abdullah's wife, Rehanna, and his two young boys, Ghalib and Alan. The images of Alan, wearing a red T-shirt, blue shorts and black shoes, and lying face-down in the surf, sparked outcry around the world. While Kurdi says their situation was so desperate that she felt they had no other choice but to embark on a perilous boat trip, she is still overwhelmed with regret. "If I did not send them the money, they could not afford to take that journey," she said. The struggles Kurdi's family faced searching for safety as Syria plunged into civil war is the subject of her new memoir "The Boy on the Beach: A Syrian Family's Story of Love, Loss and Hope During the Global Refugee Crisis." The book also recounts her own childhood in Syria, where she recalls people of different religions living peacefully as neighbours, as well as her move to Canada in the 1990s. It was a trip to visit her family in Turkey in 2014 that Kurdi said brought into sharp relief the struggles refugees fleeing war-ravaged Syria confronted. "To experience it is completely different from what you see on the news," she said in an interview with CTV News Channel. Kurdi said that her brother Abdullah, who now lives in Erbil, Iraq, is still grieving and frequently suffers from nightmares, where he relives his family's fateful boat trip and wakes up yelling, "Please, please, don't die!" She hopes her book will bring a new awareness to the plight of refugees.